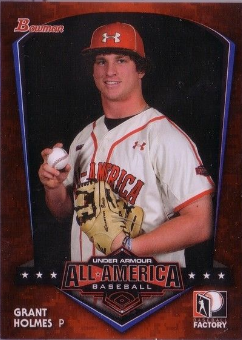 It amazes me that even prep ballplayers have Baseball cards today. 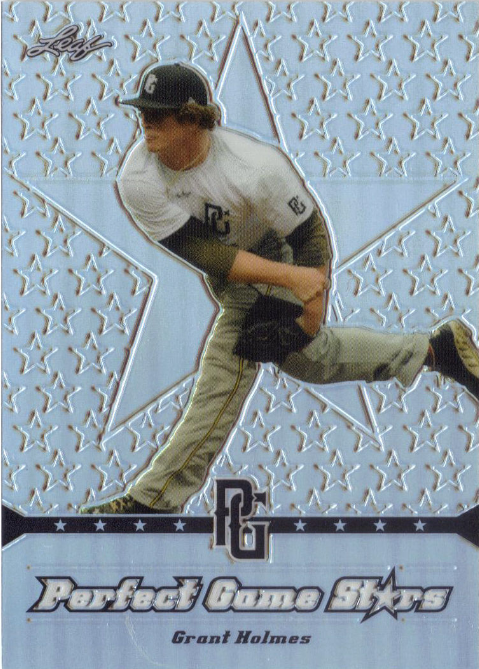 I never would have thunk that a major manufacturer like Topps would already have cards available on the marketplace before the amateur draft, but here we are. 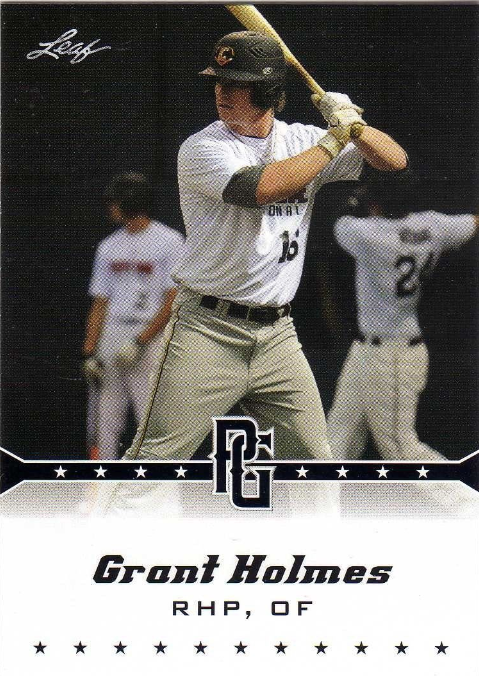 As you likely know by now, the Dodgers 2014 1st Round Draft Pick was right-handed hurler Grant Holmes, and he already has a couple of cards available to chase. 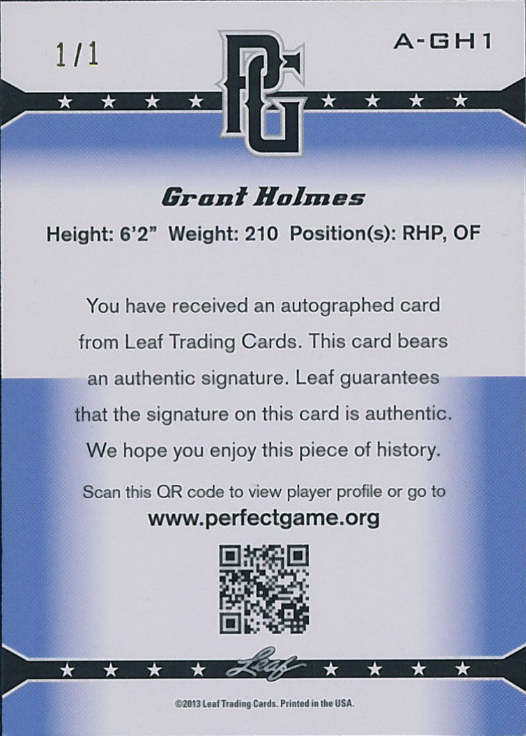 Heck, if you include cards made by Leaf Trading Cards then there are even more than that. 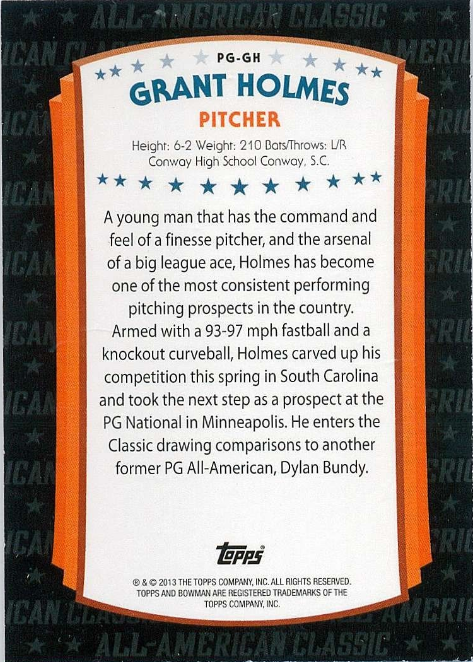 So, since I like to write about the Dodgers and their cards, check out what is available of Holmes below. 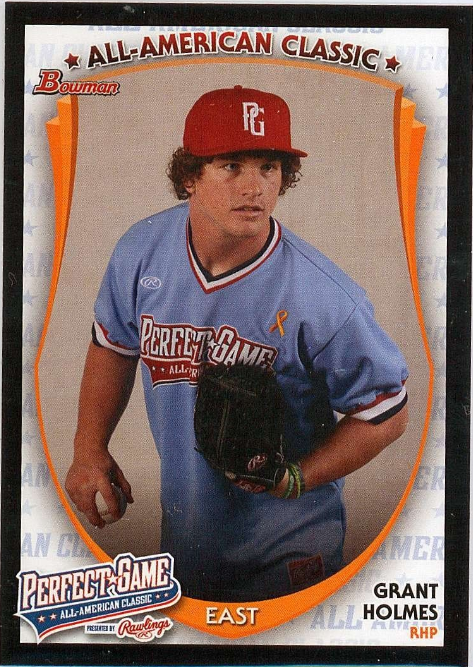 This is a 2013 Bowman Perfect Game "All-American Classic" card that were only available during a showcase ballgame at PETCO park in San Diego on August 11, 2013. Attendees received only 1 random card, so it may be scarce. 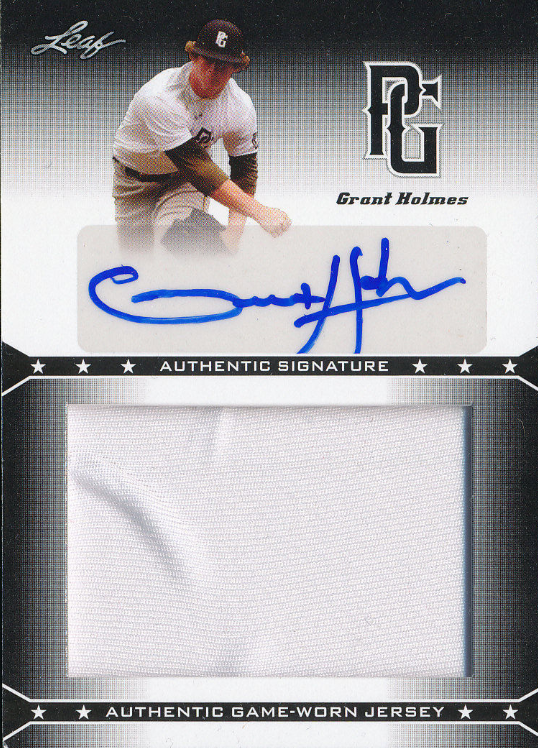 This next cards is a 2013 Bowman Under Armour "All-America Baseball Factory" card that were only available during a showcase ballgame at Wrigley Field in Chicago on August 24, 2013. Like the card above, attendees received only 1 random card. 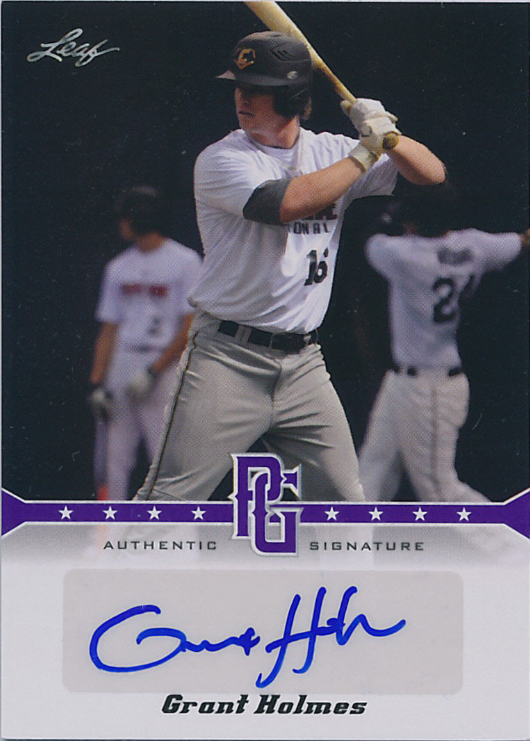 BTW, our 2nd Round Pick, Alex Verdugo, also has a card in this set - you can see it to the right of Holmes, below. 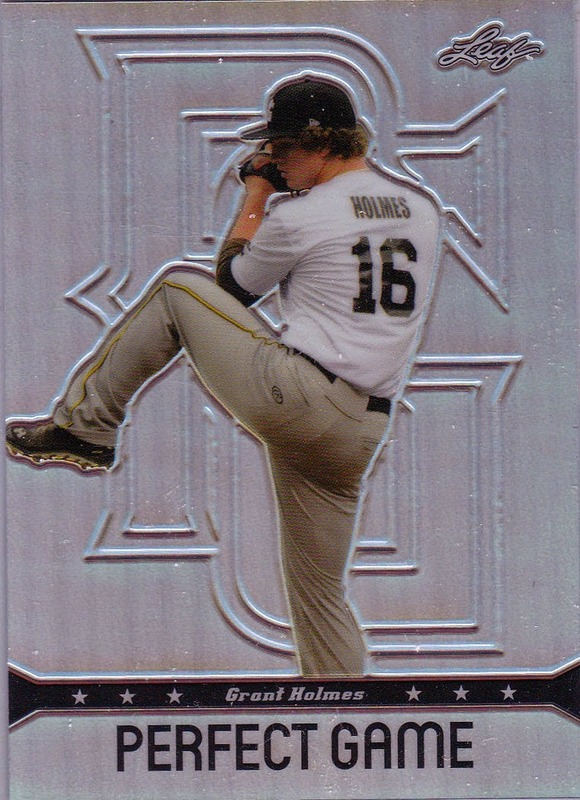 The below cards were made by Leaf Trading Cards in 2013. 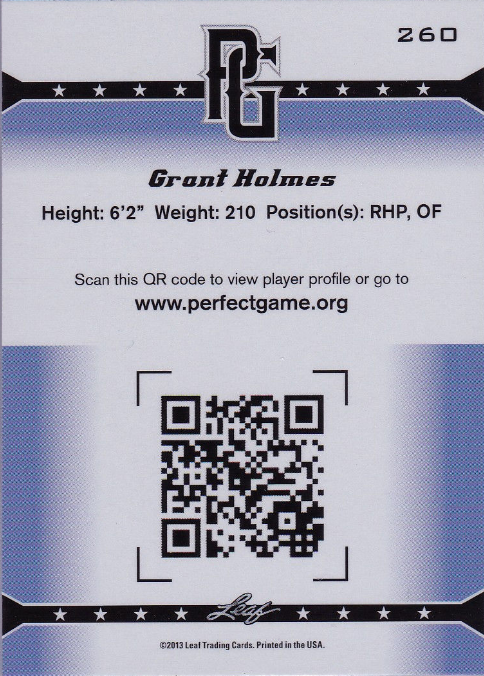 It is from a set called 2013 Leaf Perfect Game National Showcase Baseball, and they feature prep ballplayers who were participants of Perfect Game High School Classic Showcase events held throughout the country last year. 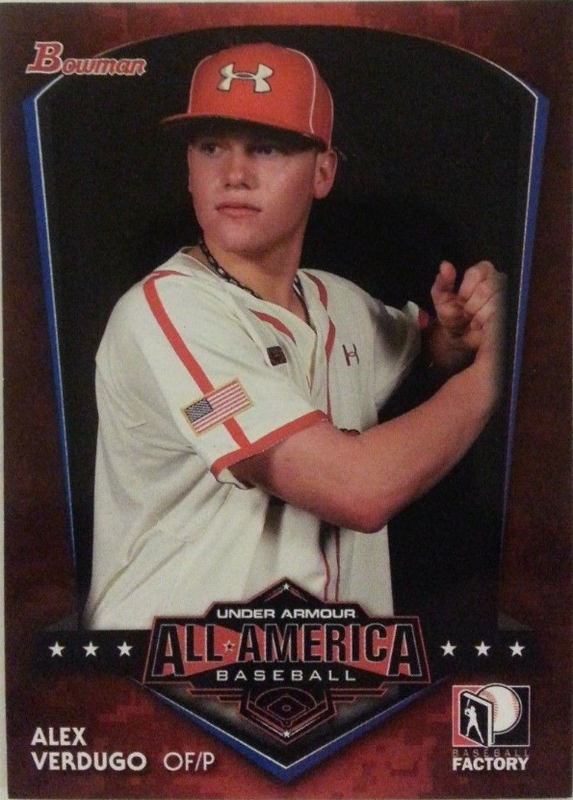 Hundreds of the best high school prospects in the country are featured in the set. 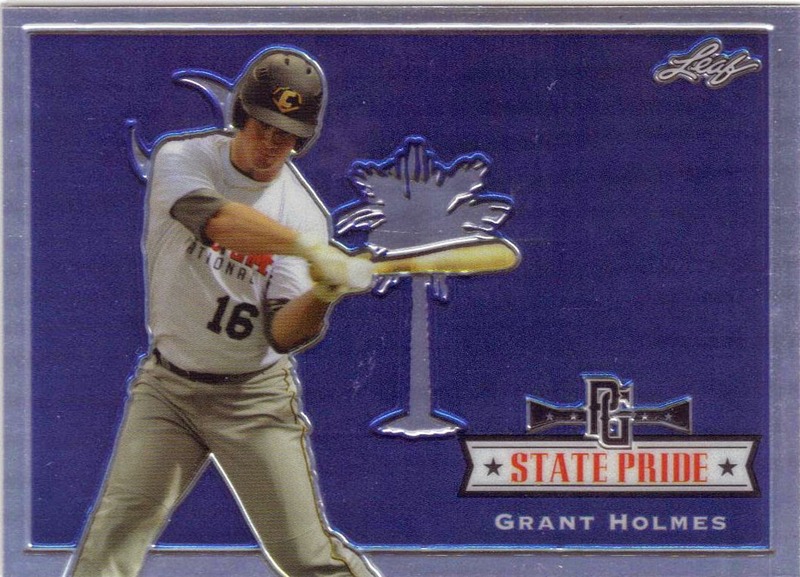 Check out the Grant Holmes cards below. Unfortunately, Verdugo is not included in the set.